If you’re in the habit of collecting things like I am, you likely have a bunch of wine corks taking up residence in the cookie jar just begging to be put to some kinda use. Ya do, don’t ya? Well guess what, I know just the thing. 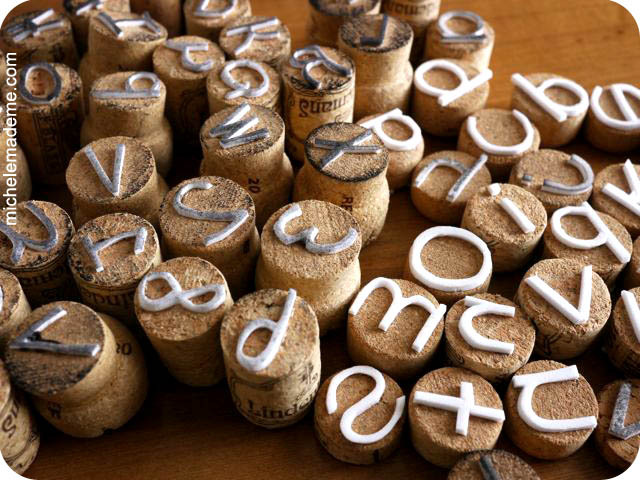 Cork letter stamps. These are useful and cute, they lend gobs of personality to cards, gift wrap, artwork, blogposts… and best of all, with a few simple tools and materials, they are pretty easy to make. Step 1. Prepare your cork. Start by cutting off the skewered end of the cork with a small handsaw. Step 2. Then, with a piece of sandpaper, smooth down the freshly cut cork surface and round off the edge. This is to be your glueing surface. Step 3. (Not shown) Quickly wash your cork in water to remove any dust. Allow cork to dry. Step 4. 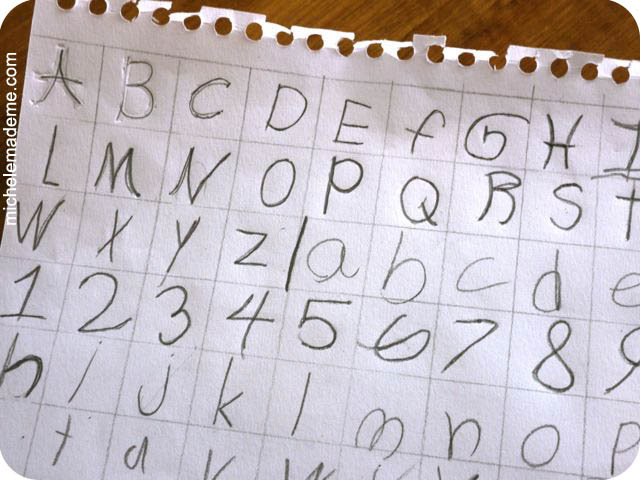 Using a pencil, lightly draw your letter onto the foam. 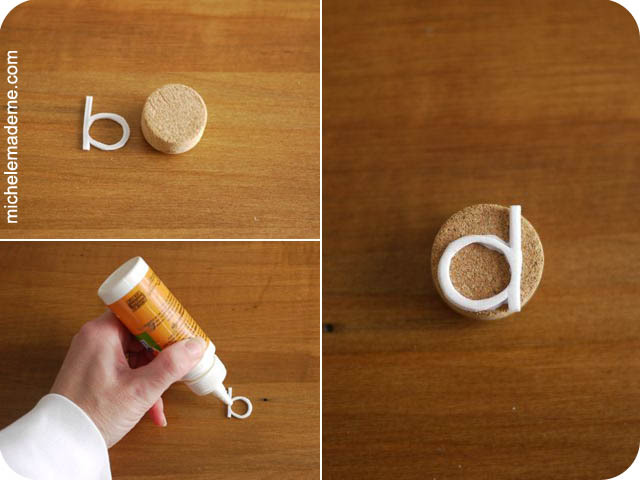 Before cutting it out, compare the size of the letter with the cork surface to be sure the letter will fit the cork. Try to make your letter as large as possible. This will prevent the edges of the cork leaving unpretty ink marks all over your precious paper or fabric. Step 5. 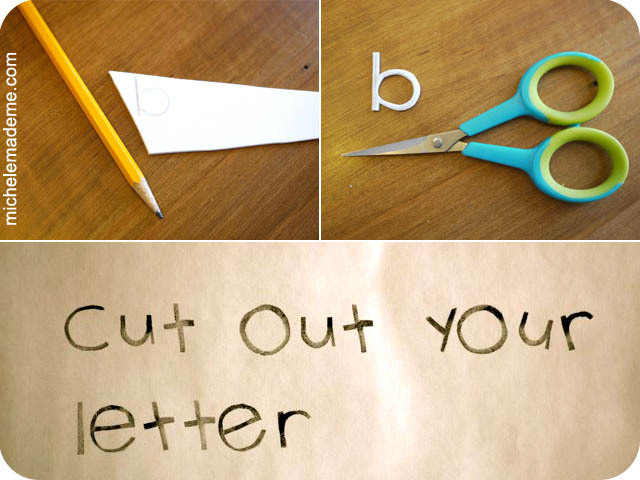 Cut around the outline of the letter with a fine-tipped pair of scissors. Step 7. 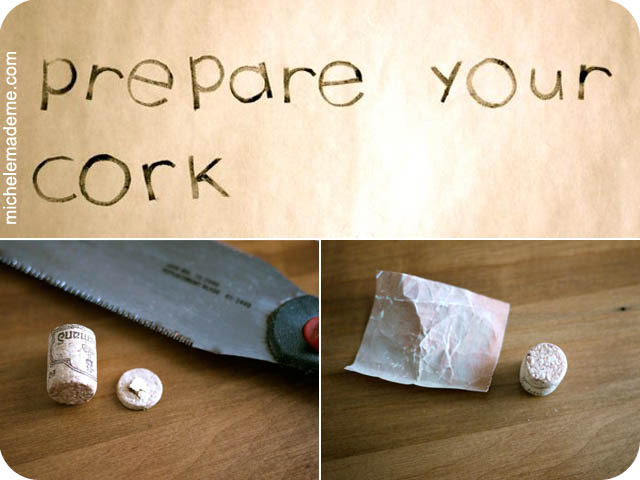 Stick the gluey letter onto the freshly cut surface of your cork. Allow everything to dry.And yep, you have letterage! Now… make the rest of the alphabet, numbers, punctuation (I totally missed the punctuation boat…), symbols, invent whole brand-new fonts if you like man! Jiminy Cricket, the sky’s the limit, eh? And I made him his very own set of stamps in BoyFont. You may or may not have seen the BoyFont in action on Tuesday over HERE. Then o’course I had to make my very own font. Stands to reason. Look how different our fonts are. Isn’t that swell? 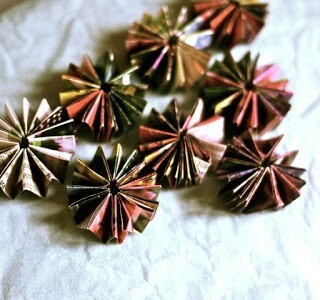 Oh the fun I’ll be having with these, just you wait. Boisy, I’m going to be playing! I love the michele font! 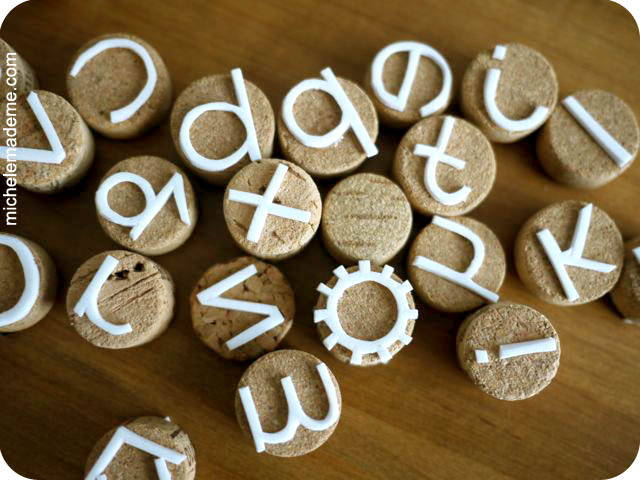 Well blow me……I just thought these lovely letters were 'of old' and that I'd missed their debut, turn's out they are brand new and…….how exciting, I've got a bag of corks under the stairs. How did you know!! The JaneBeanFont. That has a nice ring to it! Love both your fonts! What a great idea! So now the husband and I need to empty some bottles before I can get started! I’m sure we will have a bliss of a time. Maybe my new font should be called blissed by the booze! Sounds like fun, and your font name rocks Nicolette, hee hee! This is so cool, shame that i don't drink wine. But anyway, i'll get my cork! These are so awesome. I wish I had access to cork! Thanks Lindsey! Carving IS more time-consuming and gives a whole different effect, I think. This is definitely quicker! LOVE BOTH fonts – yours and boys. That is some fine cutting you did, very precise. I don't have corks, but will have to cruise our thrift stores for some. I too, thought they were old. Pretty neat that you thought they were old Anne P. That pleases me because I love vintage stuff. One could also use a die cut alphabet set to make these stamps! Thanks for the great idea! Yes, you could do that too Noreen. The corks make awesome handles/holders. You've been drinking alot of wine! I saw the title, and thought you were going to cut the corks so there would be a cork letter. So much safer your way… I don't even know if the other would be possible. Thanks for the tut. Love your blog! Holy tamoly…I love this idea!! Now to start drinking so I'll have some corks!hehehe..
thanks Jenni, glad you like it! Hilarious – and a great idea. Thanks for sharing! 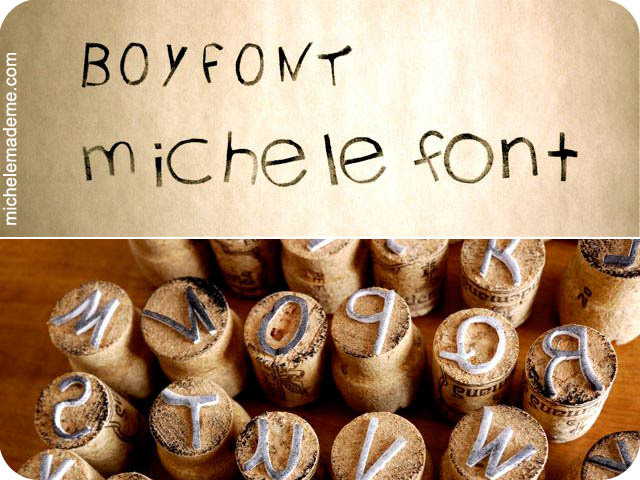 I love both your fonts and a great use of corks and thanks for that tip regarding foam glue, that is very good advice. Thanks KJ, I like our fonts too. Now I gotta get my husband to do one so he can have his own as well. Our very own font family… wouldn't that be great? awesome! We have made some cork stamps doing the carving mehod, but the combo of my rudimentary carving skills & safety concerns made that a set of a few stamps only. These are so great, and I love that you can customize with your child's font! thanks Vanessa, I know what you mean about the carving. it requires skill. whereas this method requires less skill. 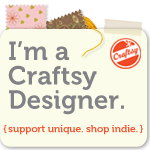 and is therefore more accessible to your everyday crafter. like me, for example! 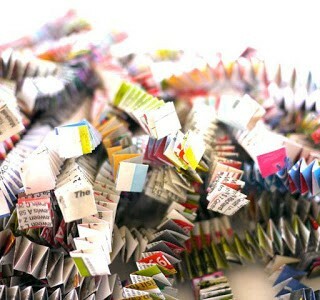 hai, i just recently discovered your blog, and i love it! i want to thank you for sharing all this wonderfull ideas! really? this is crazy cool. and now i'm going to have to create a pinterest board titled "cool stuff made by michele–that i will never do." craft on, friend. i'll keep watching. 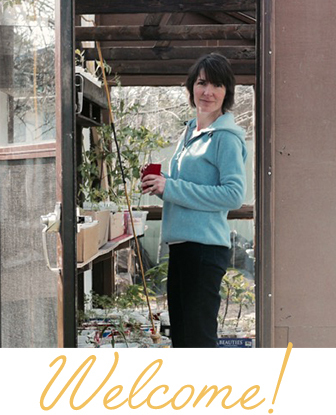 I do – how did you know? i guess i must be psychic, eh Melissa? These are amazing Michelle! So fun! Lovely tutorial and lovely stampage! Me me me! I will make you cookies! that is if I am not too late! 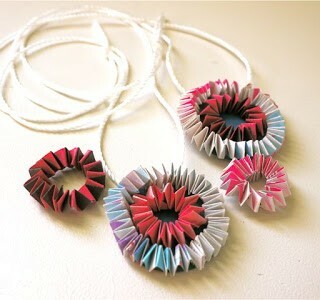 Ok so i love this idea but how about a tutorial on making little shapes! Please! Like one of the other posters I have tried carving stamps from corks before too — and the results were less than inspiring. Your idea is so much better! I can't wait to try this out. If people don't have access to corks (which I don't) they can use milk bottle caps or other caps. That's a good idea Noreen. I like it! Je ne sais pas si je t'ai remerciée, Michele , pour cette idée …. Que je vais utiliser avec la petite troupe , of course !!!! I'm going to have to start drinking more wine! 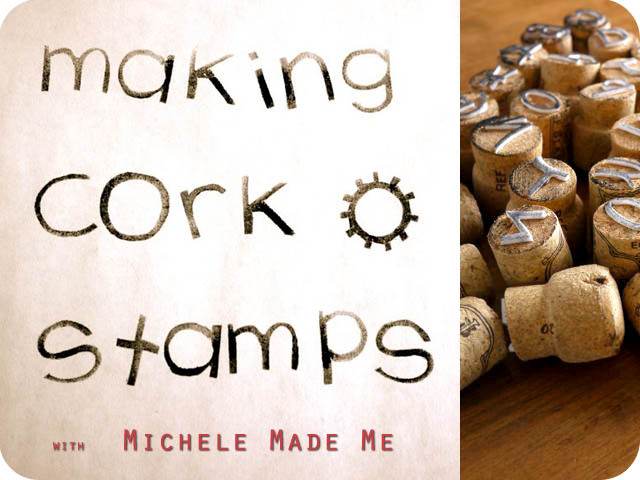 Love your cork stamps! I really enjoy visiting your blog. You are so creative and I'm inspired by your beautiful things.